Ongoing improvements continue! Scott has decided to build a brand new kitchen for Hilltop Cottage. 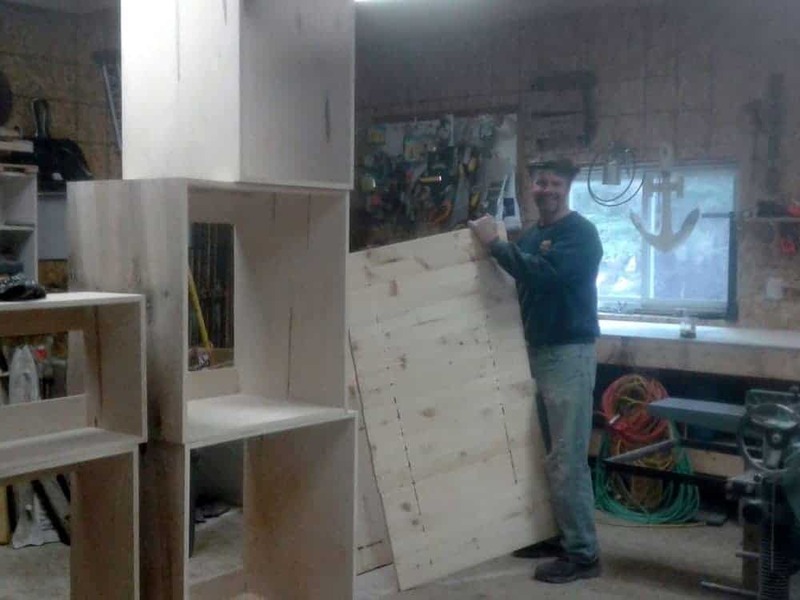 Yes, he built a new kitchen for this cottage a few years ago but it was paint quality and he wasn’t happy with the quality of the cabinets so he’s decided to build a new one. There’s no talking him out of it and since he can build a kitchen in a week there’s no reason to try:) He’s got all the cabinets built and now he’s working on the shelves and doors. It’s amazing what he can make with the tools he’s got.